Hyderabad now plays Mumbai on October 17, while Jharkhand lock horns with Delhi on October 18 for a place in the final. 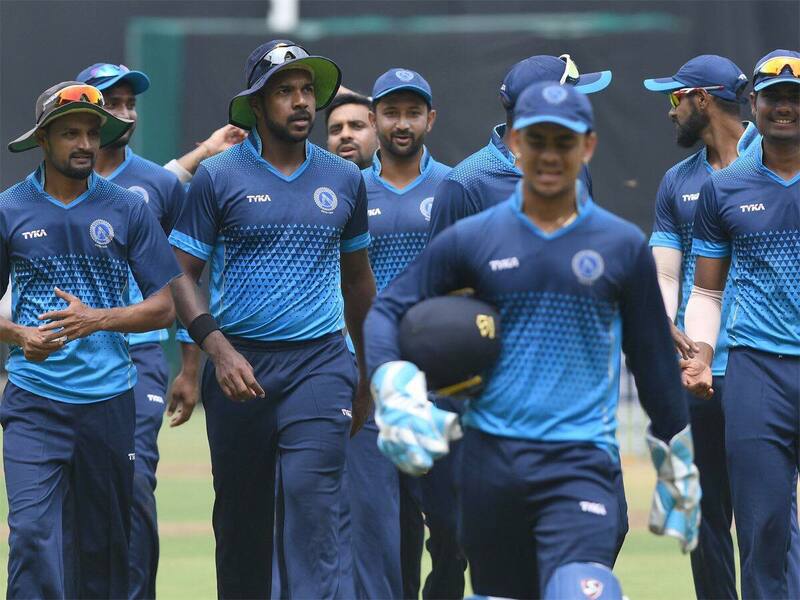 Jharkhand defeated Maharashtra and Hyderabad went past Andhra in their quarterfinal games in the ongoing 2018 Vijay Hazare Trophy, to ensure stern semi-final clashes against Delhi and Mumbai respectively. Batting first after losing the toss, Hyderabad reached a very fine 281/9 on the back of Bavanaka Sandeep’s brilliant 96, which stood out especially with no other batsman in the line up making a half-century despite decent starts. In the run-chase, Andhra captain Hanuma Vihari (95) and Ricky Bhui (52) both tried their best but the lack of substantial contribution from the rest eventually proved to be the difference, as they finished with 267 from their 50 overs. 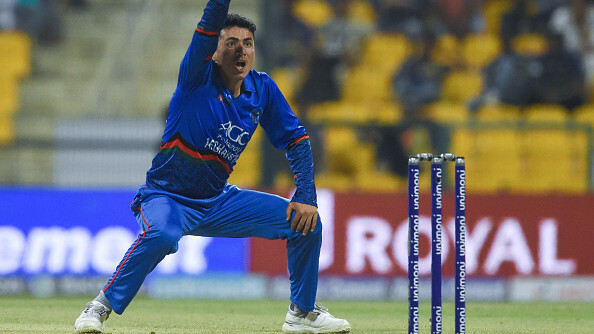 Fast bowler Mohammed Siraj was the best of Hyderabad's bowlers on the day and returned with figures of 3/50 from his 10 overs, while Ravi Kiran contributed with 2 important wickets. On the other hand, Shasheem Rathour scored a fine half-century in the rain-curtailed game to help Jharkhand beat Maharashtra by 8 wickets. 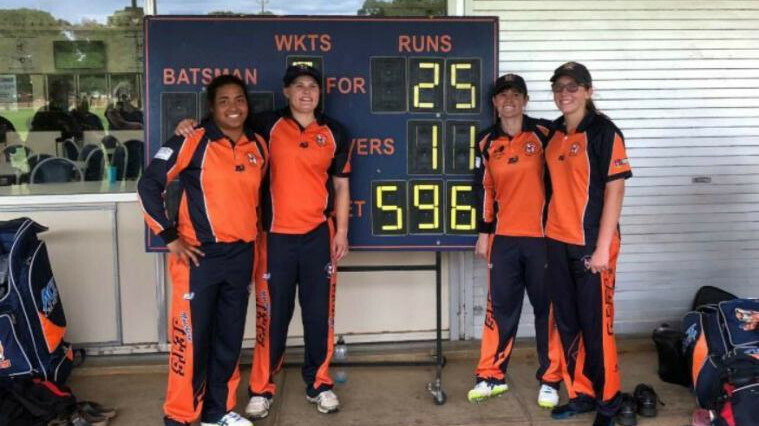 Rathour finished with 53 off 81 balls and was ably supported by a quick-fire 29 from Saurabh Tiwary, as they easily took their team past the finishing line. Earlier, Jharkhand skipper Ishan Kishan won the toss and chose to field. The decision may have raised eye-balls at the time but spinner Anukul Roy, with his magnificent spell of 4-32 in 9 overs, as well as Rahul Shukla (3-35) and Varun Aaron (2/47), ensured it doesn't backfire as Maharashtra got dismissed for just 181. The rain-intervened but the revised target of 127 off 34 overs was never going to be enough, as Jharkhand simply ran away with the game. Mumbai plays Hyderabad in the first semi-final on October 17, while Delhi versus Jharkhand 2nd semi-final takes place on October 18.